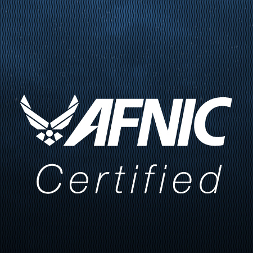 Streamlined cost and price analysis for federal government programs. Never rebuild a contractor’s cost model again. Receive cost and pricing data in a standardized format (whether or not the contractor already uses PROPRICER). Import the file for an instantly organized view—with the contractor’s fully-functional cost model intact and ready for your team to use. Easily check rates and pricing logic, analyze cost elements, and perform technical evaluations. Analyze pricing from the top-down, then zoom in on individual cost estimates. Summarize, sort and report on pricing by CLIN, WBS, or any user-defined field. 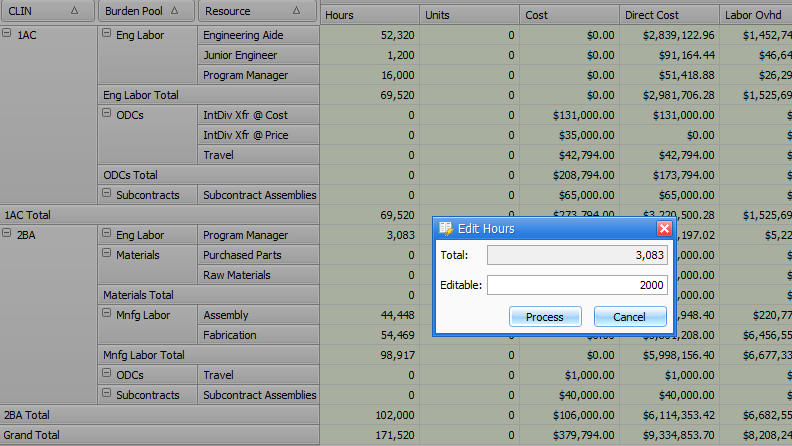 Drill-down on any cost element to see the rationale behind each estimate. 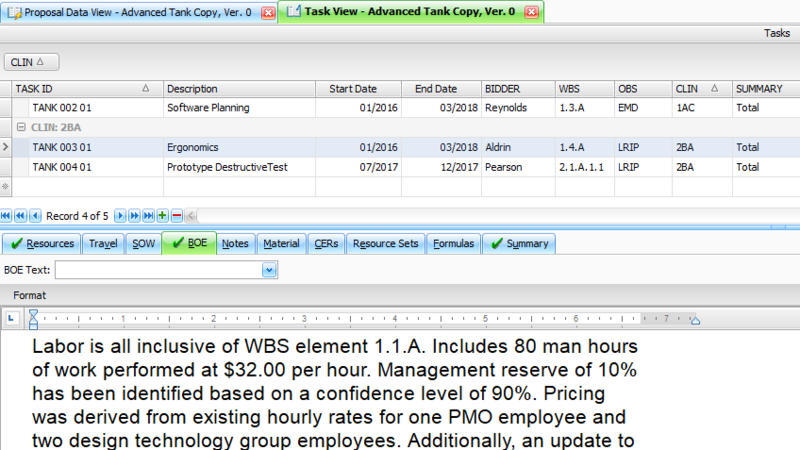 Review resource estimates, BoE text, and complete build-up data attached to each cost element. Technical evaluators can access the proposal from any location to speed along the process. Make changes and analyze the results. 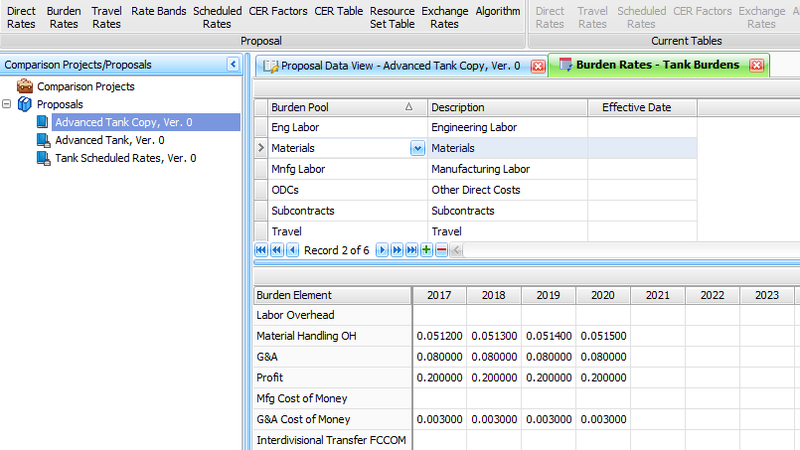 Modify discrete inputs at any summary level—including changes to bases and rates, factors, and CERs—and instantly see the overall cost impact on the proposal. Review and Share Your Revised Positions. Choose from dozens of common reports, or design your own to present just the data required. 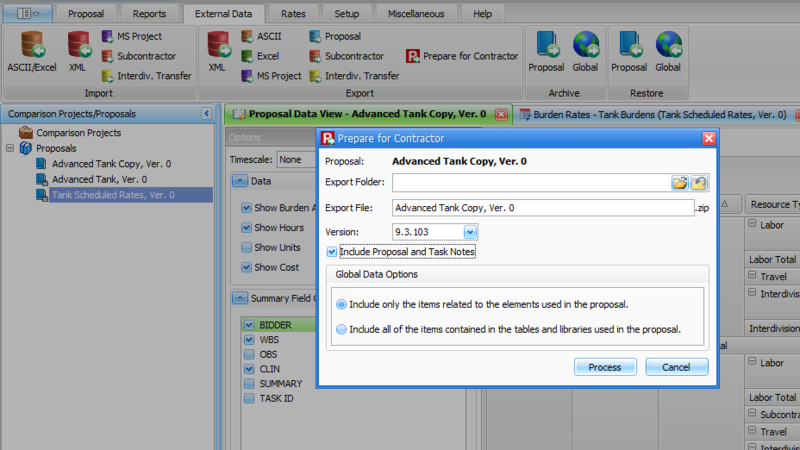 Run comparison reports to view objective and negotiation positions against the contractor’s original proposal. Send your changes back to the contractor. "The only way we're able to support that type of volume and meet all the customer requirement dates is with PROPRICER." Request a demo with one of our sales reps.